Pre War - It is worth remembering how bad the economic situation was before the war. Mass unemployment started in the 1920s. There was deflation, and falling wages which precipitated the great national strike of 1926. The Great Depression only exacerbated the problem of unemployment and poverty. As writers such as George Orwell memorably depicted in The Road To Wigan Pier - The 1930s was also a bad time to be unemployed - unemployment insurance was meagre, means tested and inadequate. Basically, in the 1930s, there was no welfare state, no universal health care - just mass unemployment, especially in the north. It was this grim period of the 1930s, that raised so much hopes that after the war things would really be better. A key element for this new hope was The Beveridge report which laid the foundation for the modern welfare state and the abolishment of poverty. Beveridge was not a socialist, but, a liberal. Yet, his vision of a universal welfare state laid the foundation of post war Britain and defined the post war Labour government. In 1945, Britain was triumphant in defeating the axis powers. At conferences like Yalta, we appeared to be one of the Big Three powers. But, the reality was - we were completely broke. The war had exhausted our financial reserves. 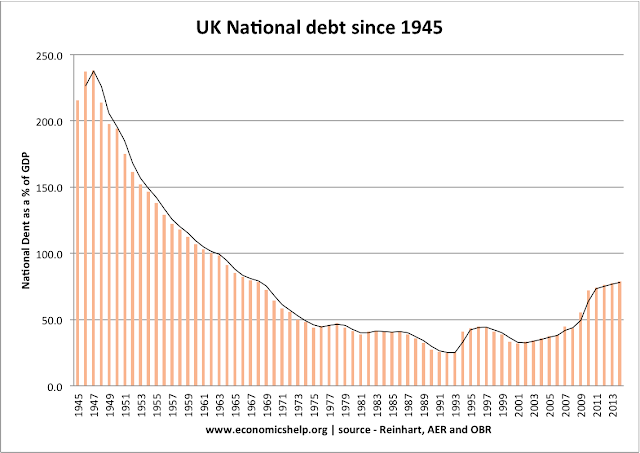 It is fashionable to worry about the UK national debt (currently 60% of GDP). But, in the 1940s, this had reached over 200% of GDP. This scale of debt, was the over-riding feature of our post war economy which hung like a shadow over the UK economy and UK politics. In 1946, towards the end of his life, we sent the great economist - Lord Keynes to Washington to help argue for an £8bn loan. People say that despite his ailing health, this was one of Keynes' greatest hours - passionately and brilliantly explaining why Britain needed a loan. The American's politely listened - only to refuse. It was only the heightening of cold war tensions that America became motivated to bailout Britain and the rest of Europe. But, whatever the motive, it is certain the America loans were vital to keep the UK economy afloat - especially in that awful winter of Britain in 1947, where secret government records show they drew up contingency plans for mass starvation. Against a backdrop of record debt, and a reluctant profession of private doctors, any government may have been forgiven for dropping an ambitious plan to introduce a universal national health care service. But, somehow, Nye Bevan succeeded in introducing a universal health care service free at the point of use. True, the number of treatments were more limited in the 1940s, but, the basics of the health service have remained in place ever since. It was a great achievement given the fiscal state of the country. But, it certainly couldn't have been done without a loan from the US. The 1940s and 1950s, were an age of austerity (rationing only ended in 1954). But, it was an era of full employment. And after the horrors of the Great Depression, this was no small thing. 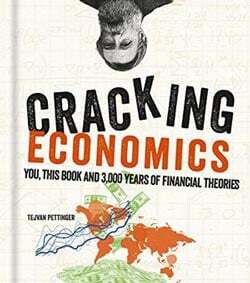 With the end of rationing, and the booming of global trade, living standards rose rapidly. We entered a new era of consumption - labour saving devices like vacuums and washing machines became the norm rather than the exception. In 1957, Harold Macmillan proclaimed in a speech that 'people have never had it so good' - A sentiment that seemed to express the improvement in living standards of the 50s and early 60s. Yet, despite the improvements in living standards. Britain was quietly slipping behind our competitors. And this period of prosperity would soon be challenged.